Thank you SO MUCH for making our event one of the best we've had. Your dancing was so dramatic and compelling visually. Kids were amazed. I’ve heard nothing but positive feedback all day. “.. it's the art form you practice and the social impact that you have when you dance that is your most important contribution in my mind. 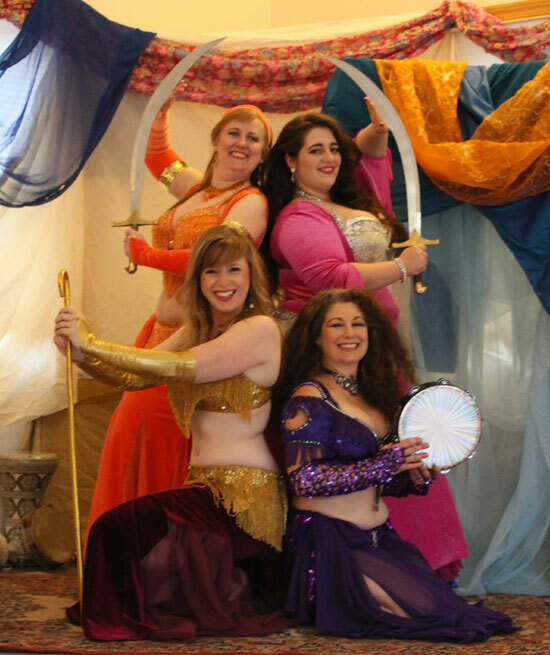 While belly dancing may be most popular in the Middle East, one doesn't need to speak Arabic or embrace Islam to understand this dance form, love it, and delight in watching those who perform it. The joyfulness exuded by you and your dancers has more capacity to melt social barriers than any other activity I know. 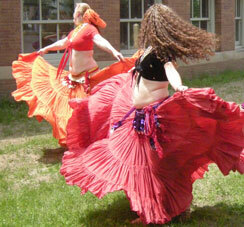 "I want to thank the Crescent Dancers for a wonderful evening. Everyone has been so enthusiastic about the performance. Here is what people have said: “brilliant and imaginative costumes”, “gracious” ,”welcomed all age groups” ,”willingly answered questions from teens and expanded on the information,engaged audience” ,“hopefully you will return” ,”lovely” ,”costumes stupendous”, “enjoyable”, “awesome”. In addition, yesterday at our teen advisory meeting three of the teens who had been at the performance gave a report complete with demonstration! They were enthralled by the presentation. 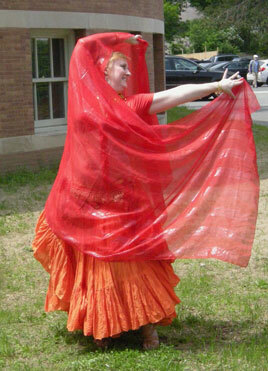 "Working with the Crescent Dancers was a very positive experience for me. The workshop and the show were very well organized; every detail attended to.